Christine and Adam are thrown together one night, when she finds herself trying to save his life. She desperately waffles as much as she can, saying anything to try and stop him from jumping the Dublin Halfpenny bridge. She manages it, but only because she strikes up a crazy deal. She bets that she can make life worth living before his 35th birthday... which is in two weeks time. 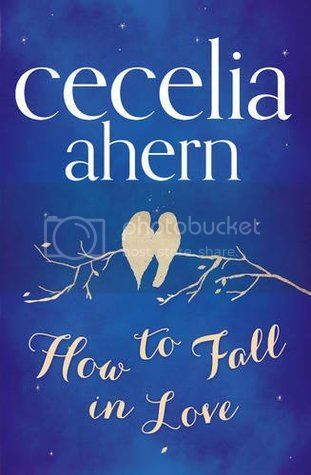 It is no secret that I adore Cecelia Ahern books, I have raved about them numerous times before on this blog. However each time I read a new one I do try to stay neutral and not fall in love with the book simply because it's written by her. There have been some of her books that I haven't clicked so well with... this book was not one of those. I think what draws me in most about her books is the written style, they have such an ease and flow to them, that it's almost impossible to not keep reading. But to make a book enjoyable there has to be something more, something in the characters or the plot to draw you in and make you desperate to read more. This book has that something more. 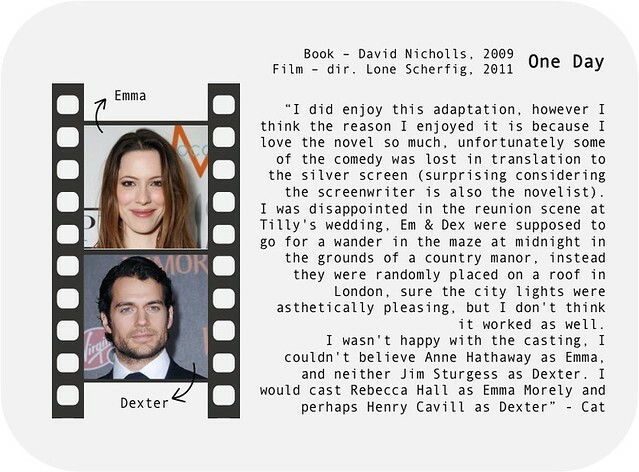 Lets start with the main characters, Adam and Christine. Christine has set herself an enormous task, she has to essentially save this mans life. She's going through an extremely messy divorce, living in a flat with barely any furniture, has little money and is only just about getting by herself. Somehow she manages to hold onto her spark, the spark that brings joy into others lives and positivity into her own and it is that spark that makes her likable and relate-able. As always the story lines seems to hold that little bit of magic that is in every one of Ahern's books, trying desperately to get a man to fall in love with his life again - there would be no story line unless you had a little bit of belief in magic. Of course this is chic-lit so there is some romance along the way, I do however find that in this story it is a side plot rather than the main focus of the book. A highly enjoyable read of which I'm sure I will go back to again and again. Recommended to any Ahern fans, chic-lit readers or anyone who needs a bit of a pick me up. Death Comes to Pemberley | P.D James | Reviewed by Lucy. Hello dear bookworms, I hope you have had a very good Christmas and are enjoying whatever time you have off. Today I'm reviewing Death Comes to Pemberley by P.D. James. Death Comes to Pemberley is one of the sequels to Pride and Prejudice. In this story, it is six years after Elizabeth Bennett and Fitzwilliam Darcy's marriage and it starts at the evening before the annual Lady Anne's Ball at their beloved home in Pemberley. Everything seems to be running smoothly until later that night, a carriage races towards the mansion. When the carriage reaches the entrance, Elizabeth's youngest sister Lydia Wickham falls out of it and screams that her husband has been murdered. This was the first sequel to Pride and Prejudice that I have ever read before and I have mixed thoughts about it. On the one hand there is a very good story which I think is a good follow up to the original story. At the very start there is a prologue which explains what has happened to each of the Bennett sisters since we read them last. I really liked that because some of the characters which we know and love in Pride and Prejudice do not make an appearance in this story and it's nice to know what has happened to them and why they aren't a part of this story. However, I can agree with some of the people's reviews I've read both on Goodreads and on Amazon which mention that some of the things which the author talks about is very lengthy. I nearly stopped reading it because some of the language was hard for me to understand. There's also a lot of back story which the author has had to go through when bringing in new characters and to fill in the gaps that have occurred within the past six years since Elizabeth married the mysterious Mr Darcy. I found sometimes that it was unnecessary to add some of these bits on. The actual story was very good, but sometimes I felt the author was dwelling too much on the back story and going into a lot of detail instead of focusing on telling this story. Even though some parts were lengthy and slow paced, I was still intrigued to find out what happened at the end and it was worth it. However I don't think it is a book which I will be reading again. 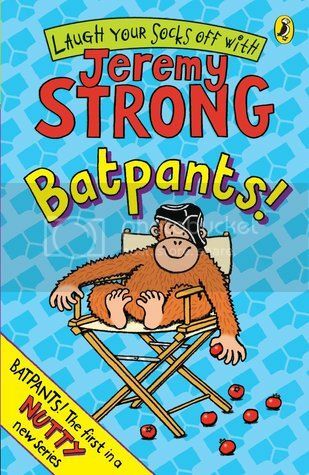 I think this book deserves a three star rating. If you are living in the UK (not sure about other parts of the world) there is actually a TV version of Death Comes to Pemberley which is being shown throughout this week. The first episode was aired last night and while it is very good, some bits from the book have been changed and that is something I'm not very keen on at all. 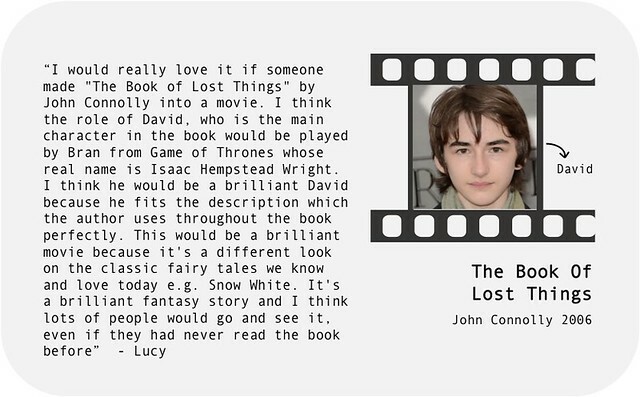 This book was reviewed by regular reviewer Lucy. For more information, please click here! Elizabeth and Lauren are both off to Berkeley college after the Summer and although they have never met they are about to become roommates. Roomies follows both girls on the adventures of their last summer before college and explores the friendship they begin to build. When New Jersey native Elizabeth (or EB as she likes to be called) finds out she immediately shoots off an email to Lauren, excited about getting to know her potential new friend. Lauren however, never wanted a college roommate. She comes from a big family where she has always helped out her parents with all of her little brothers and sisters and was looking forward to having her own space for once. Although only moving across the bay from San Francisco, Lauren is still going through a lot of the same things as EB – family issues, boy drama and anxiety about starting college. Each chapter alternates between the two girl’s stories, connected by the emails they send to each other, which are included within the text. After starting out with discussions about who should bring what for their room the conversation quickly becomes more personal and both girls end up finding that its much easier to talk to each other about how they feel than to those around them. Of course, even this solution doesn’t come without it’s ups and downs. Roomies provides a realistic depiction of how the tone of emails can be misinterpreted and the girls manage to hit a bump in their friendship before they’ve even met. Roomies is a light and more realistic read, perfect for those who are about to start college/university themselves. To read a free excerpt from Roomies click the banner below! "Christmas wouldn't be Christmas without presents..."
Little Women follows the the four March sisters, in the middle of 19th Century New England, whilst their father is away at war. There's the book's protagonist, second-oldest sister, Jo. She's a tomboy-ish, opinionated with a fire-ry personality but ultimately loves her family more than anything. The eldest March sister, Meg, is gentle, responsible and acts as the surrogate mother to her younger siblings. Beth is the third sister, the quiet centre of the story and similar in nature to Meg. Then there is the youngest sister, Amy, the artist, a little materialistic but a girl who appreciates the beauty in life. The story follows their journey as they struggle with growing up in their society, love and loss, before ultimately learning and growing together. 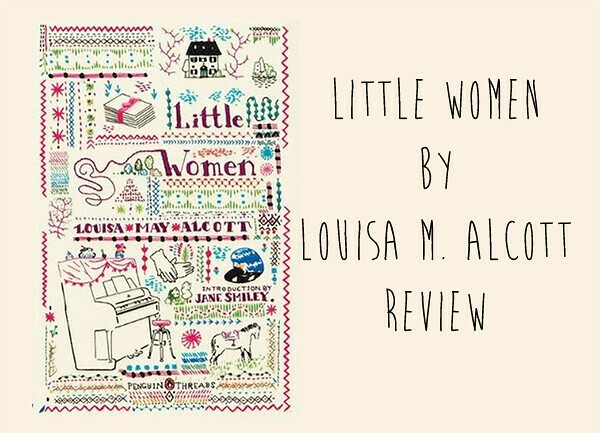 I read Little Women as a child and came across my old copy recently, I skimmed through a couple of pages and had started reading full on chapters without realising it! Despite it's historical setting, Little Women still remains one of my favourite books of all time and the journey that the March sisters go through during the novel are easily translatable for the 21st Century. The March sisters themselves are so wonderfully complex, with each girl carrying her own positive and negatives traits, and it's great to read such fabulously strong female characters. What I love about the four of them is that they bring out the best and worst in each other, they fight and are definitely not perfect but what holds them together is their love for each other. A must read and a classic that will keep hold of your heart for years to come! 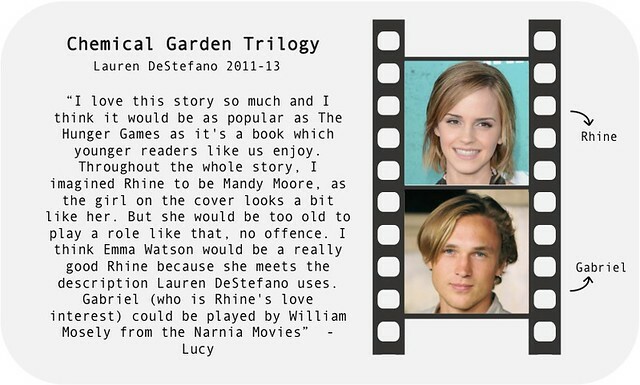 For lovers of...the works of Austen and the Bronte sisters, as well as Anne of Green Gables and The Secret Garden. We're nearly at the end of 2013, so this month's group collaboration has us looking back at those books we fell in love with this year! 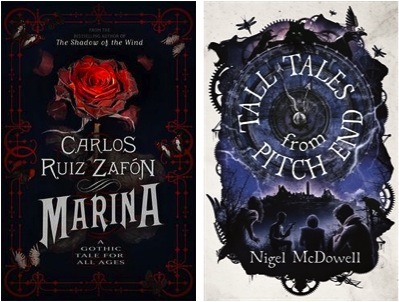 Next month's post will be all about the books we vow to read in 2014! If you'd like to get involved please email bloggersbookshelf@gmail.com for details. Okay, it's about time that we talked about it. You know what it is. The third and final instalment of Veronica Roth's Divergent series: Allegiant. What an incredibly long wait this was! 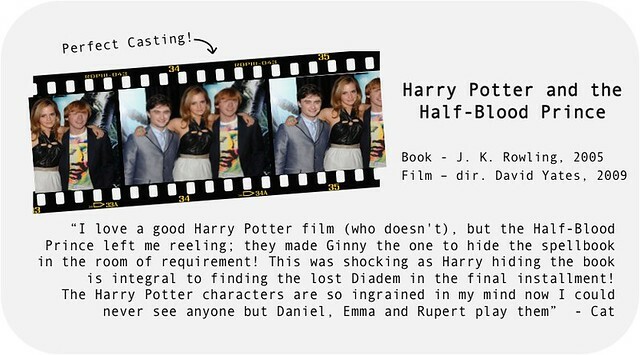 It was like I was waiting for the next Harry Potter all over again. I'm serious, it felt like that long. And yes, I base all my 'waiting for books' time against the agony that was the release of a new Harry Potter book. If you haven't read Allegiant yet, then don't worry, I don't think this will ruin anything for you. Allegiant carries on from where Insurgent left off, and we jump straight back into the action. 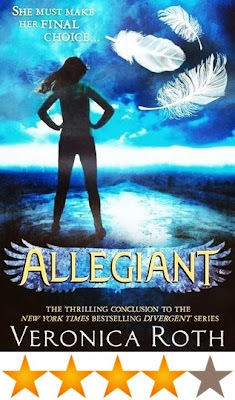 Tris and Four/Tobias join a group of rebels called the Allegiant, and journey out of the city with an advance party from this group. They go to check it out, and to see if they can find the answers to all the questions that they have, and to find out who exactly Edith Prior (the woman in the video at the end of Insurgent) really is, or was. When they reach the other side, they discover a whole new world, and an organisation bigger than they could have imagined. 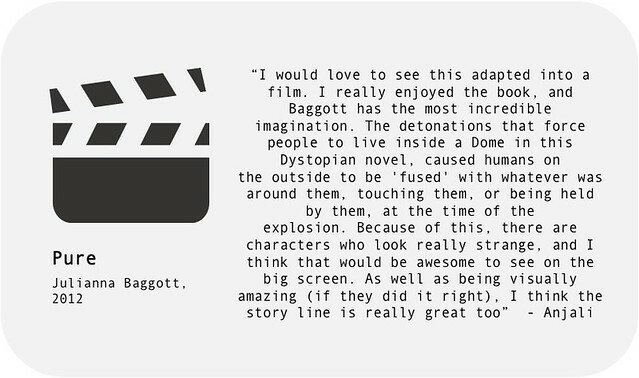 The story follows Tris and Four/Tobias and their friends as they uncover enormous secrets, take part in a bit of explosion action, and ultimately find out the answers they were looking for (though not really ones that they probably hoped for). Like Divergent and Insurgent, Allegiant is written in first person, but this time, it alternates chapters between Tris and Tobias. This was fine in itself, as it meant that we finally saw the world from Tobias' perspective, but I have to say that I found it rather difficult to keep up with who chapters were whose. I didn't find their two separate voices very...separate. I often got half way through a chapter and thought "Hang on a minute. I'm confused" and have to go back to the beginning to see whose chapter I was actually reading. Other than that though, the story was good, and it had some new characters which were both cool and annoying at the same time. If you know what I mean. While the conclusion of this series did wrap up all the lose ends and gave us, as readers, answers to the questions and secrets in the Dystopian world that Roth created, the end was urgh! Don't worry, I won't say what happens, but even though I knew something like that was coming (why else would she have written x, y and z? ), but my reaction was still a throw-the-book-out-the-window type reaction. You'll notice that I only gave it 4 stars. With Divergent and Insurgent, I gave both of them 5, but there was just something a little disappointing with Allegiant. Don't get me wrong, I still loved it and thought it was a good end to the series, but, like I said, I think the confusion of whose perspective it was, and then the annoying ending took it down a star. Still a great book, and you should definitely read this series if you haven't done so yet! This is What Happy Looks Like is the story of seventeen year old Ellie O’Neill. Ever since an email was accidently sent to her, she’s been corresponding with a mysterious stranger, the two of them sharing their hopes and fears. Their relationship is not without its secrets though – there’s the truth about Ellie’s past… and her pen pal’s real identity. When they finally meet in person, things get much more complicated. Can two people, worlds apart but brought together by chance, make it against the odds? 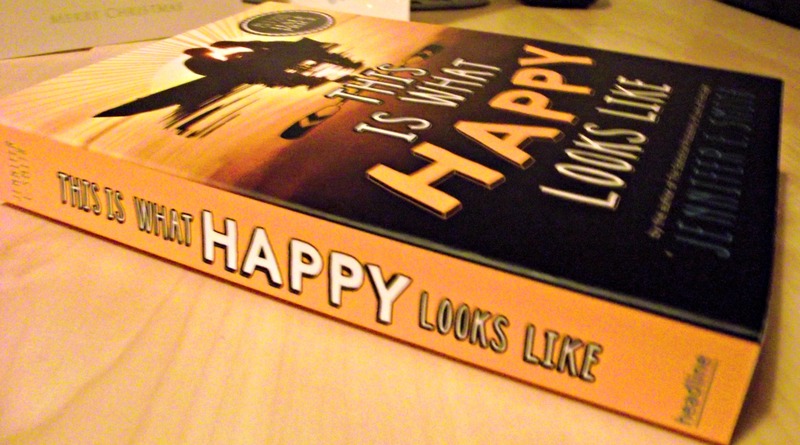 This is What Happy Looks Like is very simply, a fun read. A book about a cute romance, a small town – it leaves a smile on your face. The plot is semi-unique and the book is full of entertaining characters which make this book intriguing and if you’re looking for a light-hearted read, the one to choose. I did guess many of the plot twists and turns, but that didn’t make the story any less interesting. I absolutely loved the email exchanges between Ellie and Graham at the beginning at the book, and then at the start of each chapter. They were often sweet and had me smiling to myself. The book is written from alternating POV’s of both characters, which worked well for the story and allowed me to get to know the character and their motivations. This is What Happy Looks Like is a cute story that managed to come to life on the pages. It’s funny and touching. If you like Jennifer E. Smith’s other books, such as The Statistical Probability of Love at First Sight or are a fan of contemporary Young Adult romance than you’ll love this book. As Zoe’s story unfolds we not only learn what happened to her in the months leading up to the mysterious incident but also get to know her as a person and begin to sympathise with her feelings of guilt. Zoe finds comfort in writing to Stuart, with each letter she writes helping her to cope with the way she feels as she begins to forgive herself for her mistakes. As some of you may know I’m not usually a big fan of books with a letter or diary format however in the case of Ketchup Clouds it didn’t really bother me. The mystery was so intriguing, and the reason behind Zoe choosing to write to Stuart made so much sense that I found myself enjoying the format – something I never expected to say! Story aside, I must also quickly mention the design of the book. From the cover design to the printed page edges and the simple illustrations found within the letters this book has a distinctive and memorable style. The story of Zoe’s secret, told in this format was something very original to me and I really enjoyed reading it. One day on his annual visit at the doctor's office Oswald T. Campbell gets some chocking news. He only has a few months to live unless he moves to the South. Oswald ends up in the small town of Lost River, Alabama. 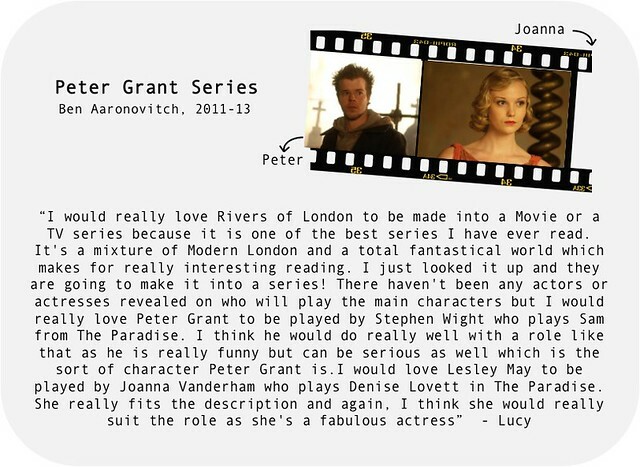 Lost River happens to be the home to a bunch of interesting and heart warming characters and a redbird called Jack. 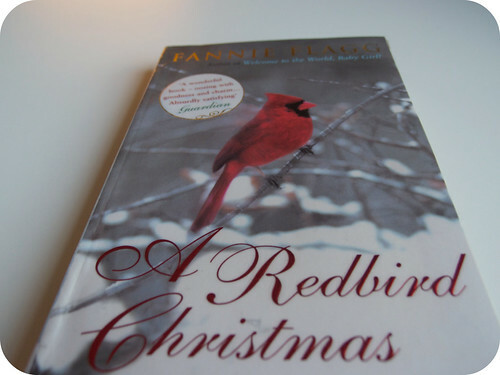 A Redbird Christmas by Fannie Flagg is the perfect Christmas novel. 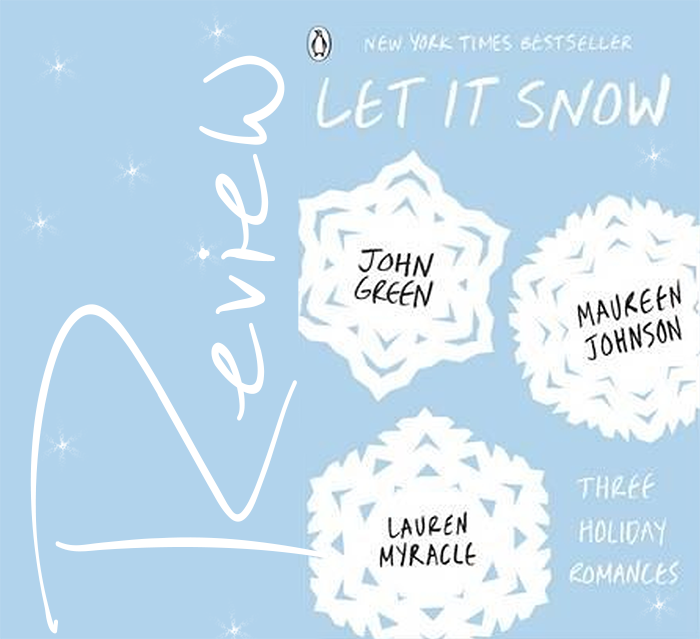 Not only because parts of the story take place during the holiday season but also because this is a true feel good novel that gives you that nice warm and fuzzy feeling that everyone should be feeling this time of year. Because let me tell you something! A Redbird Christmas was a genuinely enjoyable reading experience. It was short and sweet and just made me feel warm and happy. If you've read a few of my previous reviews you might be a bit surprised because I tend to criticize books for not having enough action. A Redbird Christmas has almost zero action, but I still loved it! 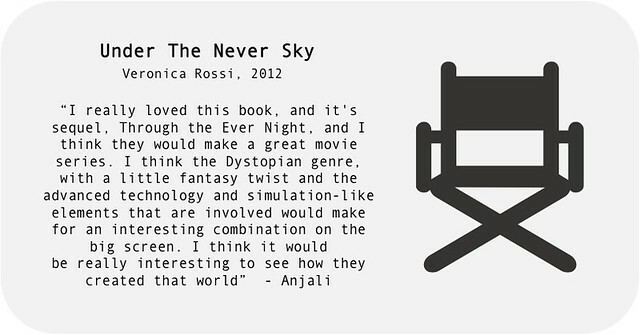 There's no other way to explain it than that the book has a really good and enjoyable vibe. The characters are really well written and make the story really interesting even if it's mostly about their slow small town lives. This novel seriously makes me want to move to a small lazy town in Alabama. Just imagine getting your mail by boat!? (Yes, that happens in Lazy River, Alabama). This is the first book by Fannie Flagg that I've ever read (even though the movie Fried Green Tomatoes based on Flagg´s novel with the same name is one of my favorite movies). 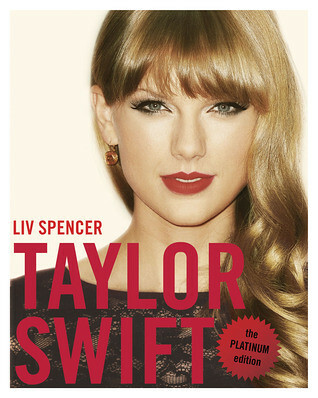 But after this reading experience I'm really intrigued to read more of her novels. I enjoy her writing style and she really has the ability make the simplest thing feel magical in A Redbird Christmas. 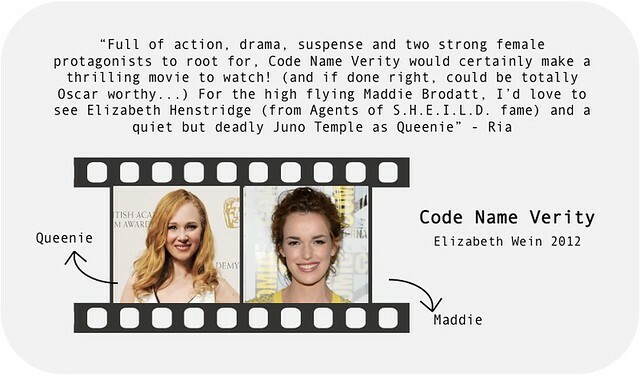 And like I said before, I loved what she did with the characters. I could go on an on about how I loved every single one of them. So yeah, you guessed it right. I really really liked A Redbird Christmas and to be honest I wasn't excepting to like it as much I did. This is a well written, short and sweet read. I think you all should give it a go because with it's 224 pages it's a pretty short yet enjoyable read for the upcoming holidays! I give A Redbird Christmas by Fannie Flagg 5/5 stars. 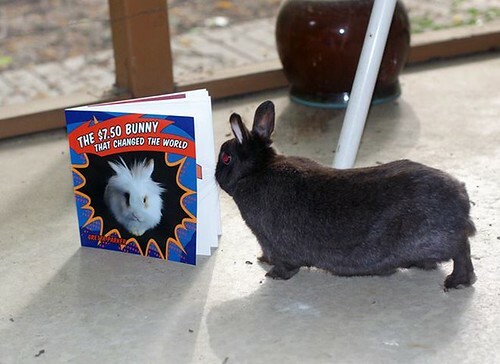 "The $7.50 Bunny That Changed The World is a short book all about a rescue rabbit named Flopsy. The book is written from Flopsy’s point of view and tells the story of how he was abandoned at a shelter by his previous owners and later adopted by the book’s author Gretta Parker, who’s life he changed for the better. 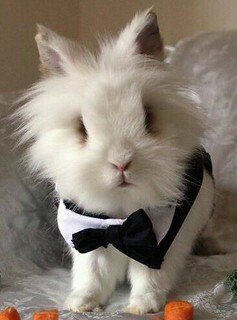 After Gretta bought home a computer and set up a Facebook page to raise awareness of rabbit adoption and shelters Flopsy played a huge part in helping the cause as a ‘spokesbunny’ proving just how rewarding becoming a rabbit owner can be. Alongside the story are beautiful photographs of this special little bunny who definitely seemed to enjoy posing for the camera! As a bunny owner myself I couldn’t resist reading Flopsy’s story and I am pleased that there are people like Gretta trying to raise awareness for this cause." BB: Hi Gretta, welcome to Blogger’s Bookshelf. Could you tell our readers a little bit about the author behind The $7.50 Bunny That Changed The World? It is rare to be able to combine all the things you love which for me is bunnies and writing. I love to tell their stories, which are not always happy. I like to make people think about the plight of animals and to inspire people to get involved with their local rescues. It will be two years this December, since I lost my Flopsy. I don’t know if I can ever put into words the profound effect a $7.50 rabbit had on my life. He taught me to care more, to be more fearless, but more importantly to take a stand to try raise awareness to the plight of rabbit rescues. I never knew how bad they have it until I started his Facebook page. There is no funding, little awareness, and crippling medical costs that they face every day. He started me on a path when I was lost. I just didn’t plan on finishing the journey without him. The success of his story has been bittersweet for that reason. He is still the first thing I think about and the last thing I remember when I go to sleep at night. BB: Your book tells the story of the wonderful Flopsy Parker who inspired you to raise awareness for rabbit rescues and shelters by starting Baskets For Bunnies. Could you tell us a little bit about the organization and how it has helped inspire others? I started Baskets for Bunnies, Inc. to help supply rabbit rescues with supplies that they do not have the extra funding for, anything from toys to litterboxes. Right now we are doing our Toys for Hops drive through Christmas which provides free toys to rescues in the US and a few in Canada thanks to our partnership with Happy Rabbit Toys. I also opened a Sanctuary for special needs rabbits called the Flopsy Parker Memorial Sanctuary last year, 20 rabbits live with us some of which are paralyzed, blind, or just need more socialization. Both Baskets and the Sanctuary are important to me because they will make sure Flopsy’s memory lives on through the rabbits they help. 100% of all the proceeds from my books go to fund my non- profit organizations. BB: If our readers are interested in helping rescue bunnies and shelters how can they get involved? A lot of people do not know that rabbits are the 3rd most abandoned animal in the United States. Due to the fact that they are governed by agricultural laws many rescues do not get the funding that they need. If one pregnant rabbit is dropped off, it can cost over $1000 alone just for spay and neuter of the babies since most litters can be between 7-10 babies per litter. Petfinder is a great resource to find rabbit rescues in your area. You do not have to adopt to become involved, most rescues welcome supplies and or help with transport or medical bills. Helping share fundraisers on Facebook, or adoption ads can even help. BB: Whats next for you as an author? Will you be writing more books about bunnies? My next children’s book will be called Stanley the Misunderstood. It is about the first rabbit I took into the Sanctuary, he was in danger of being euthanized for aggressive behavior. The book will be a humorous look on his real life antics, and how he grew to become a wonderful rabbit with love and patience. I also hope to publish my first YA novel this year called The Marquee Sign. BB: Since we are a book blog we have to ask – what have been your favorite reads of 2013? I am old school, The Winter of Our Discontent by Steinbeck is on my nightstand right now. I prefer classics to a lot of mainstream fiction. I buy a lot of books from flea markets and shops. I just finished Dan Brown’s new book Inferno, I respect how he combines, history, art and the Classics into his writings. I also enjoyed The Cuckoo’s Calling, I think there is a certain brilliance in the way J.K. Rowling writes that transcends the genre she is writing about. I'd like to say a huge thank you to Gretta from all of us here at BB for taking part in this interview. 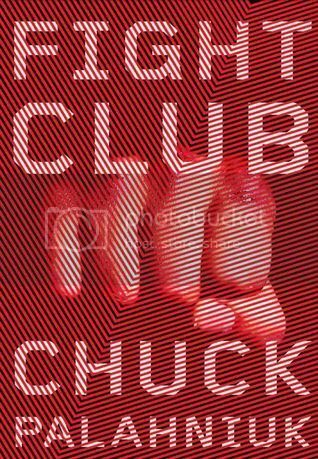 Chuck Palahniuk's first novel tells of a young man who suffers from insomnia, he becomes addicted to going to support groups as a impostor. Soon other important characters appear, such as Marla another trickster who enjoys support groups and more importantly Tyler a key character who he befriends on a flight. They in turn set up a Fight Club, of course the first rule of fight club is that you don't talk about fight club. I'm quite possibly one of the only people around to have not watched this film, this book has been sat on my to-read shelf for a couple years and I finally picked up when I had the urge to watch the film. 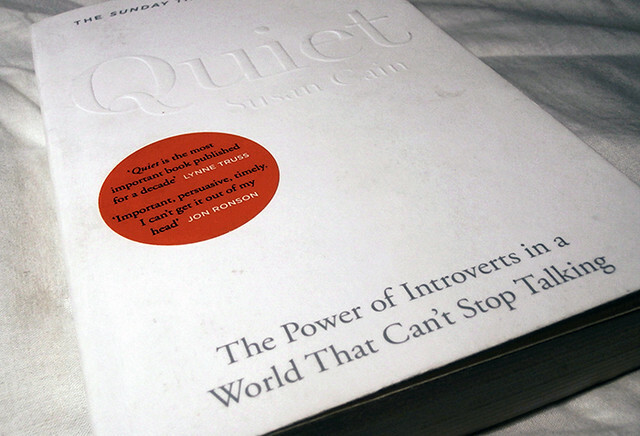 Of course I couldn't watch the film knowing the book was sat there unread - so I picked it up and off I went. I have to say I had high expectations, many friends have rated this book 5/5 on goodreads, but I have to say I struggled for the first 50 or so pages. I found the text difficult to read and the story line difficult to connect with. However something seemed to change around the 50 pages mark and suddenly I got into the swing and style of the story. I enjoyed the main character, his quirks, insomnia and all, the journey he goes on is distressing yet enticing, while I wanted to hide behind my hands whilst reading some of the description I also had to keep going, I needed to know where he was going to end up. As I said previously this book got off to a rocky start, I found it all very stereotypical male and as a female who hates fighting and violence, it was a tricky read. That however is not to say that I didn't enjoy it, I did and would definitely recommend it. Now I best get round to watching the film adaptation!